Labour has always championed LGBT+ rights. Now is the time to address the remaining cultural problems that cause discrimination against LGBT+ people. 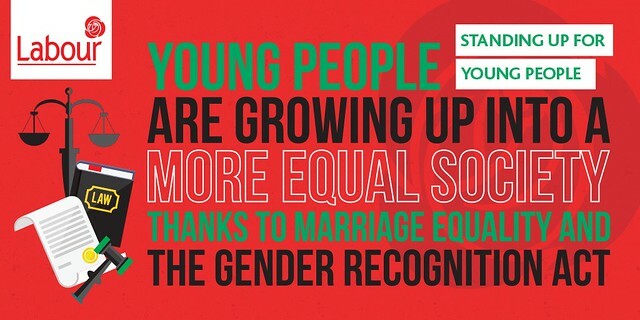 In Government, Labour has delivered on the Marriage Equality referendum, the Children & Family Relationships Bill, amending Section 37.1 of the Employment Equality Act and Ireland’s first Gender Recognition Act. Download our policy document in this area (4276k).